The cover story of today’s Time Magazine Special Report agrees with our long-standing call for Medicare to negotiate drug prices and lower the age of Medicare eligibility. Even the CMS Medicare Director agrees that Medicare should negotiate what it pays for drugs. Just seven years ago Medicare didn’t even have a drug benefit – now it’s the largest buyer of drugs in the world! Congress: It’s time to repeal the Bush-era prohibition against Medicare negotiating on behalf of all its customers. That’s how to drive costs down for Medicare, older people, people with disabilities, and taxpayers. Wal-Mart does it – Medicare should too! Benefit Cuts or Drug Discounts? According to a 2012 Congressional Budget Office report, aligning Medicare drug payments with what Medicaid pays just for low-income beneficiaries would save $137.4 Billion over ten years. (CBO Estimates for President’s Budget for 2013, 3/16/2012). While the President suggested this reform in his State of the Union address, discounting what Medicare pays for drugs has thus far not been taken seriously by decision-makers. 5. Adding home health co-pays for new enrollees. If all of these benefit cuts, that would hurt older and disabled people, save only 25% of the savings that would be achieved by requiring drug companies to give the same discounts to Medicare as it gives to Medicaid, why don’t we choose drug discounts? How can benefit cuts be preferable if the goals are to reduce the deficit and save Medicare for future generations? Lower Medicare payments for prescription drugs. Choose People and Medicare over PRxOFITS! 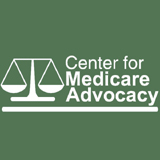 We provide effective, innovative opportunities to impact federal Medicare and health care policies and legislation in order to advance fair access to Medicare and quality health care. Or call at (202) 293-5760. Healthcare for Less Blog by Michelle Katz, M.S.N.